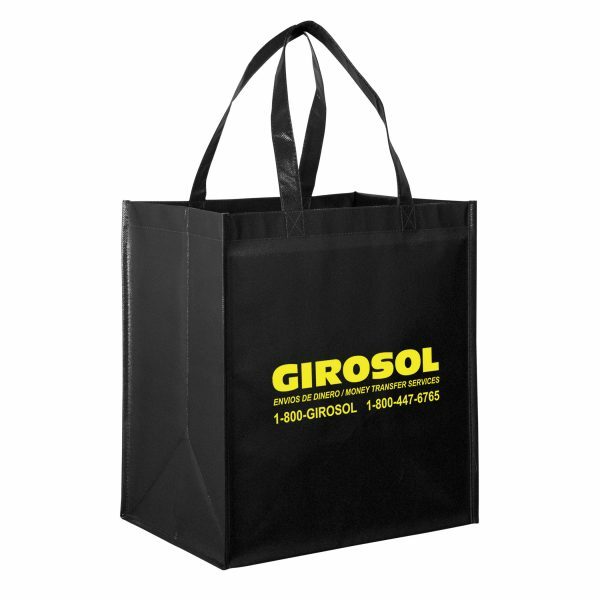 This durable grocery bag measures 13” x 15” and features 10” gussets with 22” handles. Constructed out of a non-woven, laminated polypropylene material that is easy to wipe clean while providing additional structure and strength. Designed to resist water, tears, and UV rays. Includes a poly board insert made of recycled plastic and a high-gloss finish for a fashion-forward style. This bag may be customized with a company name and logo. 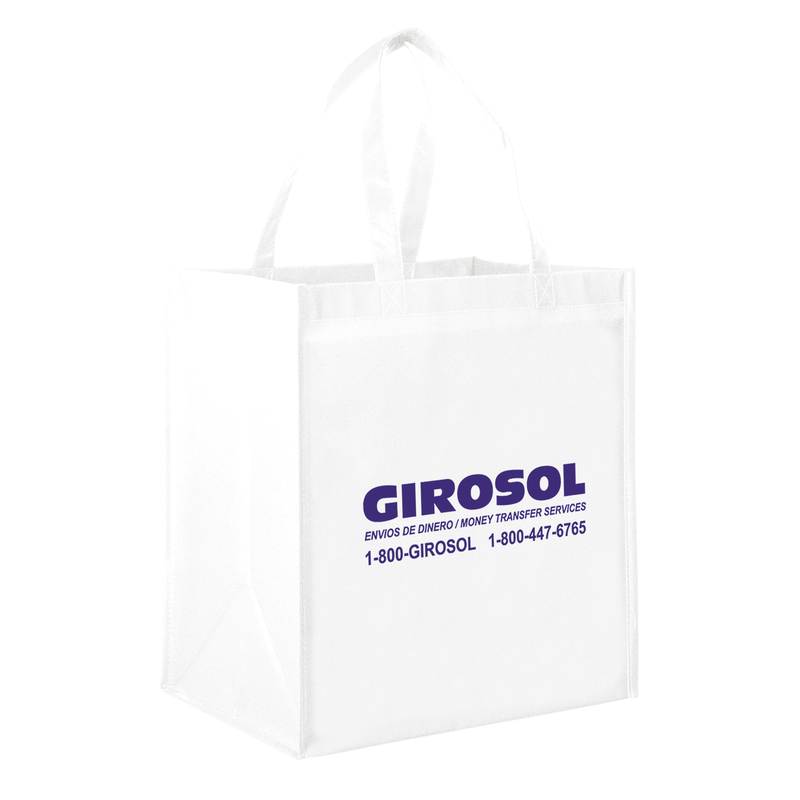 110 GSM Non-woven polypropylene with gloss lamination – Recyclable # 5. LN131015-Screen Print Gloss Laminated Designer Grocery Tote Bag is constructed out of a non woven, laminated polypropylene material that is easy to wipe clean while providing additional structure and strength. 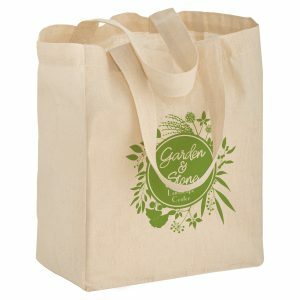 These reusable grocery tote bags may be customized with a company name and logo. See our other great laminated tote bags here. LN131015-Screen Print Gloss Laminated Designer Grocery Tote Bag – Constructed out of a non woven, laminated polypropylene material. Easy to wipe clean while providing additional structure and strength. 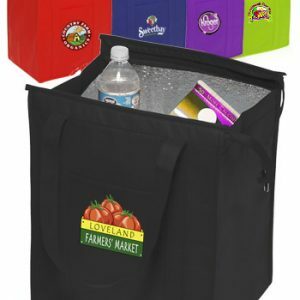 These reusable grocery tote bags may be customized with a company name and logo. 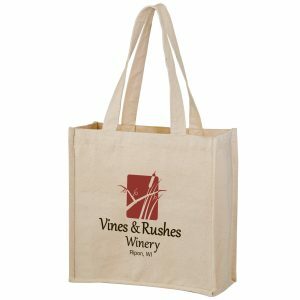 See our other great laminated tote bags here. There’s no better way to market your brand. If you are looking to customize this product, you can do so through our design center. We can essentially construct and product the product to meet your exact specifications. See all options we offer at customgreenpromos.com. Please also see our complete line of products at Custom Green Promos, Bag Promos Direct, and Gorilla Totes. Custom options for everyone. 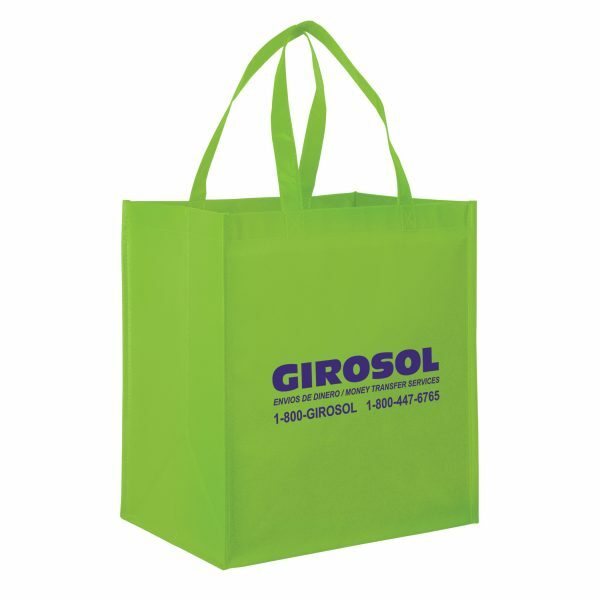 In addition to recycled bags, we also offer plastic laminated green bags. Furthermore, we have a large selection of custom wholesale tee shirts and imprinted hats. 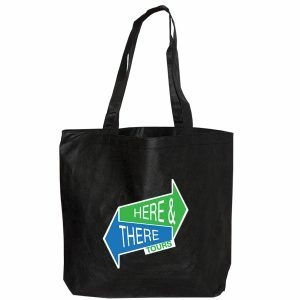 LN131015-Screen Print Gloss Laminated Designer Grocery Tote Bag – LN131015-Screen Print – High quality recycled reusable bags. In addition to these high quality tote bags, we also offer many other styles and sizes. This is because we want to make sure there is an option for everyone. As a result, you are certain to find the right product for you. In fact, we have products within every single budget. This durable grocery bag measures 13” x 15” and features 10” gussets with 22” handles. Constructed out of a non-woven, laminated polypropylene material that is easy to wipe clean while providing additional structure and strength. Designed to resist water, tears, and UV rays. Includes a poly board insert made of recycled plastic and a high-gloss finish for a fashion-forward style. This bag may be customized with a company name and logo. Additional Run Charges For Front Or Back: 1st color/1st location Run charge – FREE.